The alphabet and numbers sets are now finished. The best way to find all of them in one place is by visiting the Topical Guide, under the heading Letters and Numbers. Click on the desired pattern and you’ll go right to it. 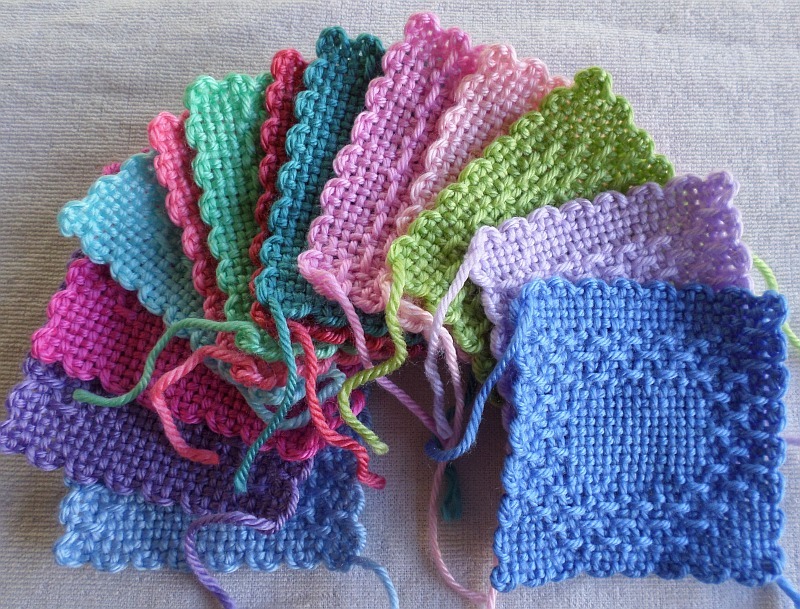 These 13 squares represent an all-night effort to finish two basic sets of patterns—ABCs and 123s. The numbers and letters can also be found by clicking on the Alphabet or Numbers category, but they won’t show up in alphabetical or numerical order (rather by the date on which they were published).